France is a big country. It is also a country of enormous variety so deciding where to spend your holiday in France takes some thought! However you like to spend your holiday, lazing on the beach, doing various sporting activities, visiting historical sites or sampling local food and wine, there is a place in France that will tick all your boxes. If you don’t know the country too well, then here are some holiday ideas for you. Head for the foothills of the Pyrenees down in the south west of France for an active family holiday. The Pyrenees form a natural border between France and Spain and, unlike the Alps, they are wonderfully accessible thanks to the A64 autoroute which runs much of their length. The foothills and mountains are a playground for those of an active disposition with a multitude of sports available to people of all abilities and all ages. Canyoning, rafting, caving, paragliding, climbing, horse riding, hiking, mountain biking, there’s just so much choice if you are a family with active children. We recommend you contact The Adventure Creators who are based in the central Pyrenees. They will put together a complete package of accommodation and activities for an action-packed week in the mountains. If your idea of a proper holiday in France is getting away from it all, far from the crowds, surrounding yourself with nature and beautiful landscapes, then you need to head for the unspoilt Auvergne area of central France. Beautiful forests, rolling mountains with grazing land in between, a rich variety of wildlife and birdlife, abundant wildflowers, pure air, it’s an area that is truly good for the soul. Take yourself off for a gentle walk in the countryside and feel your stresses melt away. 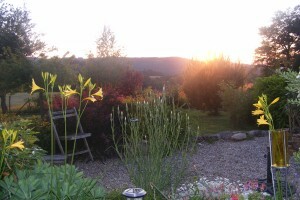 Stay at this B&B in the Auvergne and let the peace and quiet soak into your soul. 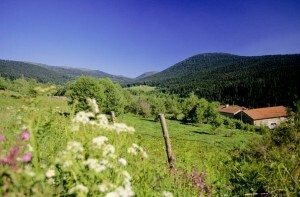 The area to the west of Clermont in the Auvergne is a unique area in France that will captivate you. It’s a landscape of extinct volcanoes with the highest being Puy de Sancy at 1886m which becomes a ski resort in winter! Seek out the delicious local products and nourish your tummy as well as your soul! Honey, cheeses, charcuterie, you’ll find these and more at the little local markets. If you stay at a B&B in the Auvergne then you may well have the opportunity to enjoy home-cooked meals created from this local produce. Let’s face it, France is full of places of cultural interest. Brimming with it! Everybody has heard of the historical castles that are dotted liberally throughout the Loire Valley and most tourists make a bee-line for them if they are visiting France. But personally I find them too busy, too touristy and too commercial I suppose. I prefer to visit old abbeys and churches, monasteries and citadels, places that have far more interesting and thought-provoking stories to tell of days gone by. Some are intact, some are no more than romantic ruins, but all of them are intriguing. The Romanesque architecture of the abbeys and churches of Burgundy is regarded as some of the finest in the world. Fontenay Abbey, Cluny, Vezelay, so much history, so much beauty! 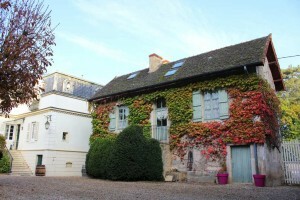 By choosing to stay in a bed and breakfast in Burgundy you’ll benefit from your host’s precious local knowledge. Discover the best vineyards to visit, the best wines to purchase and those hidden corners of Burgundy that only a local can know about. Burgundy is a great choice for a holiday to France with a tremendous variety of places to visit and things to see. As you’ll discover, it isn’t all about wine and vineyards, but about history and culture too. Make sure you plan to stay a while. You won’t be disappointed.